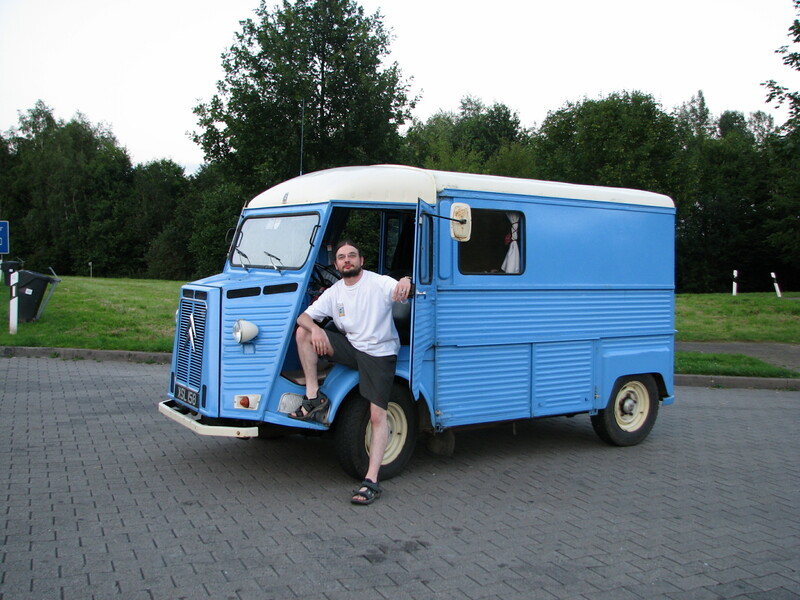 What is a Citroen H van like to drive? – HubNut – celebrating the average! 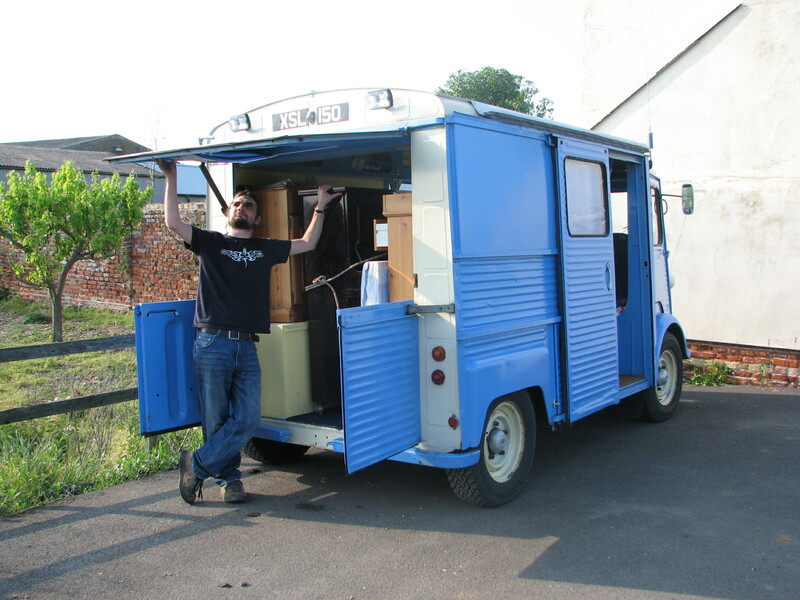 What is a Citroen H van like to drive? Citroen H vans seem to be the new big thing. Sadly, a great many are being turned into ‘quirky’ catering vans. A lot of these just get shipped around and never actually get driven. People claim they’re too slow, heavy and generally just horrible. What’s the actual truth? Given that I drove one over 3000 miles to Sweden and back, I’m fairly well qualified to answer that question, so here goes! First up, the history bit that The Law Of Writing Stuff dictates I must begin with. The H van was a quite remarkable van launched in 1947 by Citroen. It utilised front-wheel drive and monocoque construction with Torsion Bar suspension, just like a Traction Avant. In short, that means it has no chassis. It really is a box with some wheels and a drivetrain stuck on the front. A subframe holds the engine, front suspension and steering, with four large bolts holding it in place. This was revolutionary for the time. The main benefit is a seriously low floor in the back. It’s an easy step up, which is why the H van has been very popular for years as a camper. People up to about 5’8” can stand up in one with no need for a roof extension too. Is an H van hard to drive? Two wheelbases were available, and various overhangs. Coachbuilders also built their own specials. Three were built in right-hand drive form to test the UK market but they were a bit too unusual. Engines were a 1628cc or 1911cc petrol (with aluminium cylinder head from 1963 and 58bhp at most) or a rather feeble and noisy diesel. Amazingly, production did not end until 1981! Clambering aboard is interesting, especially with suicide doors. There’s a handle near the windscreen to aid your entry. 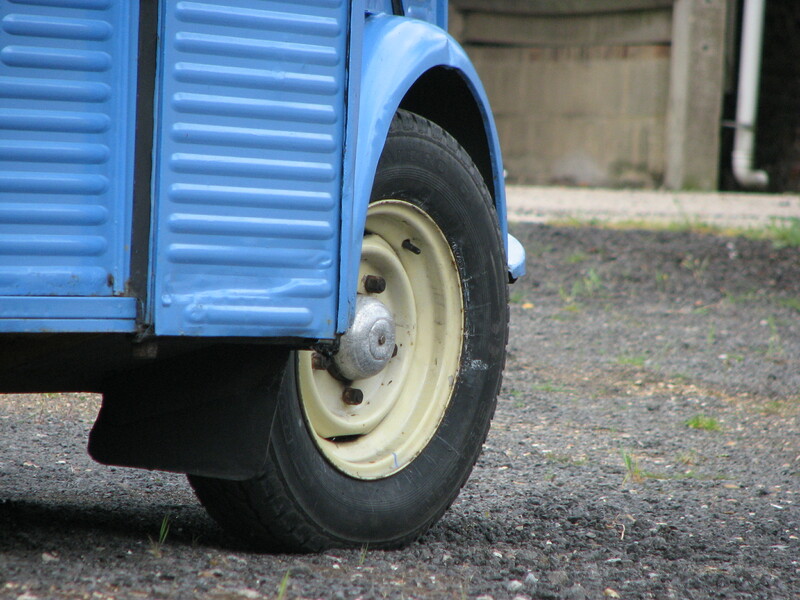 You sit right on top of the front wheel, rather like a Volkswagen Type 2. That means you sit quite high up, with a commanding view of the road. A button starts the engine once the ignition has been switched on and it’s quite noisy! That’s because it sits between your feet and those of your passenger, with just a thin, steel cover over it which is easily removed for maintenance. An H van is loud! Smothering the cover in sound-deadening is definitely a good idea. Now you must get to grips with the gearchange. The lever is very heavy but precise. The shift pattern is back to front though. First is away from you and back, second towards and forwards, with third back from there. Reverse is opposite first so you need to get it right! The gearing is short, so you don’t need to slip the clutch much, but will quickly find yourself needing to change into second. You’ll soon be in third, which is good from about 25mph upwards. This means you don’t often have to change down. Don’t bother changing gear if approaching a clear roundabout, just keep going! That’s probably a good idea, as the brakes take a good shove. A lot of people complain that H van brakes are rubbish. No, they’re not. 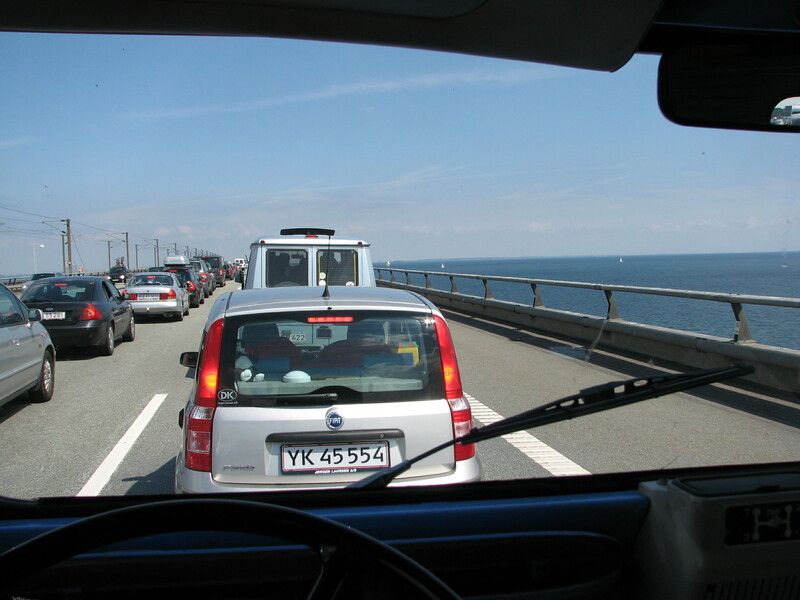 They DO require a good shove, but an H van is capable of stopping briskly if you need to – as long as the brakes are well set-adjusted. Indeed, with no load, it’s very easy to lock the rear wheels. You don’t really need to slow down though. Despite being a design that’s been around for longer than a Morris Minor, the H van handles like a big Mini! The steering is heavy, but wonderful. It’s so direct and you quite easily find that your crockery is on danger if you’ve got a camper. The biggest problem is that gearing though. 50mph is hard work, as the engine is revving very high. 60mph is just about possible, but Motorhead is quieter. Even if you stick your head next to an amp. It’s hardly relaxing and the day we drove 288 miles in Germany is one of the toughest things my wife and I have ever done! I must confess that those who ship their catering vans to events may do so to protect their hearing. But, you need to accept that an H is an old vehicle. Yes, it will be challenging at times, but they have a truly marvellous charm about them. They were never designed for gallivanting all around Europe. It’s frankly amazing that they do so in their stride, albeit a rather noisy stride. Mechanically, we had no troubles at all on our trip other than a slightly noisy driveshaft. When we flattened the battery at a campsite, I just started it on the handle. So there you have it. Unsurprisingly, what was revolutionary in 1947 is perhaps hard work today. The fact that it remained in production so long just demonstrates how long it took the world to catch up though. Even in 1981, most vans were still rear-wheel drive with leaf springs. It’s only in the past 20 or so years that the H van formula of front-wheel drive has really caught on. How ahead of the game is that? I am new to the world of H vans but not to the world of Citroens ,i have a DS which i have owned for 12 years and have owned most other citroens over the years. While in France earlier this year i found an Hvan for sale in the back of a Brocante , i didn’t buy it there and then but after getting back to England couldn’t stop thinking about it. I tracked the Brocante down from England and took a chance going back with a trailer and a wad of euros , dragged it out of the shed it was in and did the deal there and then, neither of us spoke any of the others language which made it good fun. I have fitted a carburettor rebuild kit £25 a new exhaust system £250 electronic ignition £275 and 4 tyres, which after doing quite a bit of research i fitted 16 inch tyres with inner tubes . The 4 tyres equated to the price of one metric vredestein! I have fallen in love with it, i realy enjoy driving it , it is noisy but on the A roads doesn’t seem to cause any tailbacks behind me and if anything i will find myself sitting behind a car going slower than i want to go. Excellent. I must admit, I do miss the H now. I wouldn’t try to drive one 3100 miles in three weeks again, but they are surprisingly good for tearing (slowly) around the countryside. They handle so well that you don’t really have to slow down!